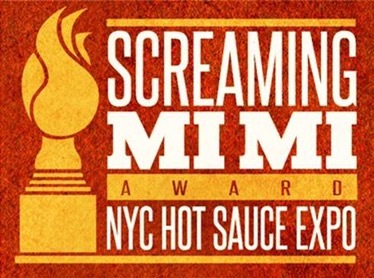 The NYC Hot Sauce Expo is pleased to present the 2017 Screaming Mi Mi Awards Show on April 22nd. Each year hundreds of hot sauce companies from around the globe compete and try to win the most esteemed and most admired award in the hot sauce industry. Past winners have been featured on TV, national magazines, newspapers and blogs which has lead for their product distributed by wholesalers and national retail outlets. This year the Screaming Mi Mi Awards have partnered with Peppers.com, Fuego Box, Chile Pepper Magazine and the Scott Roberts hot sauce blog. These companies are the most respected and leading outlets within the hot sauce community. “I wanted to maximize the profile of the winners and there is no better way than to partner up with these amazing companies” states Seabury organizer of the NYC Hot Sauce Expo. “I want spicy connoisseurs to have easy access to the BEST Hot Sauces in the World and the BEST are Screaming Mi Mi Award winners” adds Seabury. Screaming Mi Mi Award winners will be selected via blind taste test by New York’s finest and brightest in the culinary industry. The panel consists of celebrity chefs from FOX, CBS and Food Networks, food critics from magazines, newspapers, bloggers, hot sauce retailers and some of NYC’s top chefs. The Screaming Mi Mi Awards has 16 different categories and 1 Grand Champion making this the hardest award to win in the hot sauce industry. GRAND CHAMPION: The Hot Sauce with the highest total score from the panel of Judges will be deemed the 2017 Grand Champion. ENTRY DEADLINE: April 3rd, 2017. 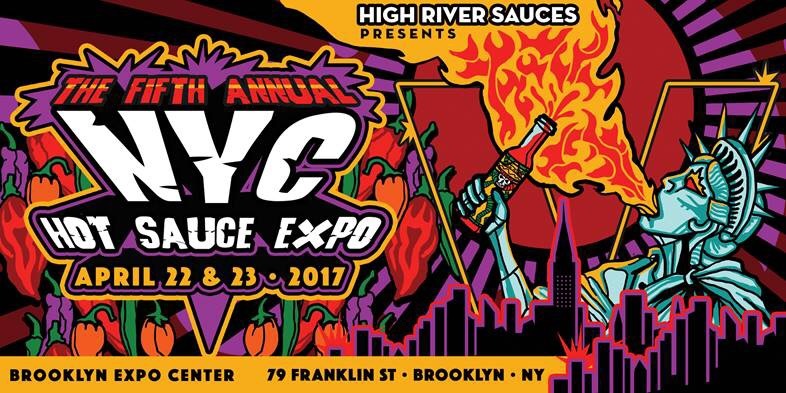 To download the official 2017 Screamin MiMi entry application, go to the NYC Hot Sauce Expo website, listed below. 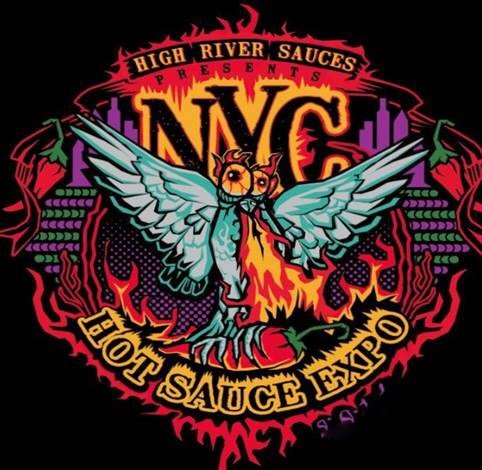 New York’s own High River Sauces proudly presents the 5th Annual New York City Hot Sauce Expo on April 22nd & 23rd 2017. The NYC Expo will feature up to 45 artisanal hot sauce makers from all over the United States and as far as Australia, Canada, England, New Zealand and South America. The NYC Hot Sauce Expo has grown into an International Hot Sauce celebration. Witness the action packed event with hot sauce tastings, eating challenges, spicy food vendors, craft beer, spicy cocktails and plenty of odd ball entertainment for the whole family. The NYC Hot Sauce Expo will feature the Bloody Mary Mix-Down National Championship. Winners from AZ, CA & the Portland Hot Sauce Expo’s will be flown in to compete again NYC’s top mixologist in this ultimate Bloody Mary Mix-Down. Winner will receive $2500 cash and the beautiful Stoli Vodka Bloody Mary trophy. 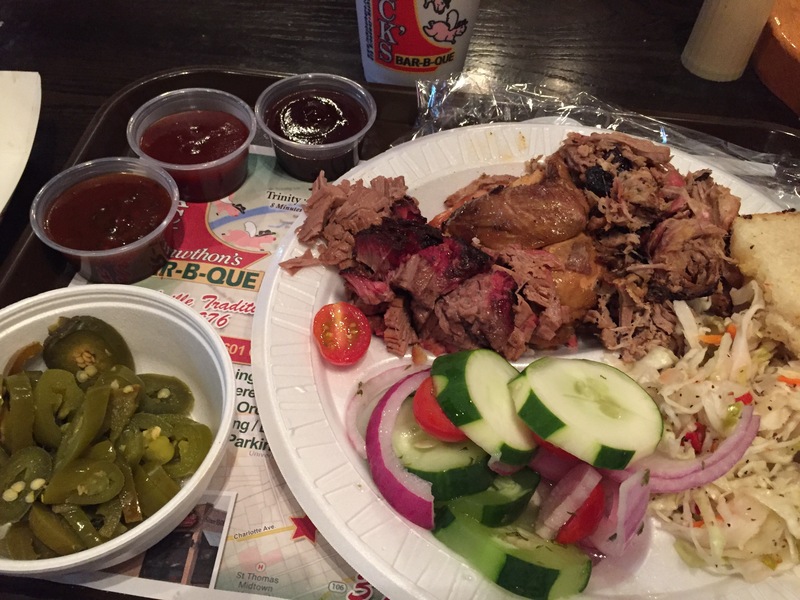 Think you have what it takes to be crowned the Guinness Book of World Records – Smokin’ Ed’s Carolina Reaper Pepper Eating Contest, the World’s Hottest Pepper. The 2016 NYC Expo we witnessed Wayne Algenio smash the record by eating 119 grams in 60 seconds. 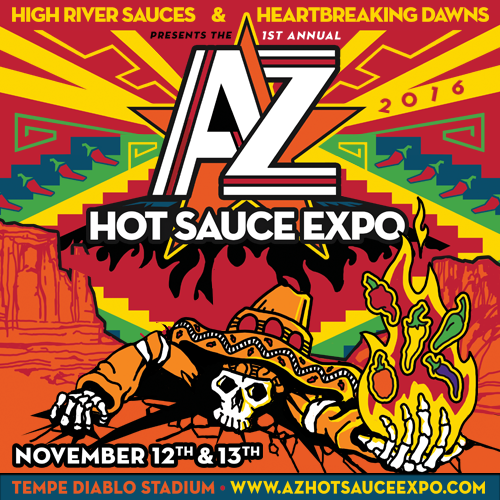 Now the current record is held by Greg Foster when he ate 120 grams at the AZ Hot Sauce Expo on November 13th. Will the record come back to NYC? 20% off all products and free shipping for orders over $50.